The Passive House Factory in Pemberton, British Columbia, manufactures superinsulated wall sections for Passive House structures. Factories designed to turn out prefabricated components for Passive House buildings are up and running on both sides of North America. 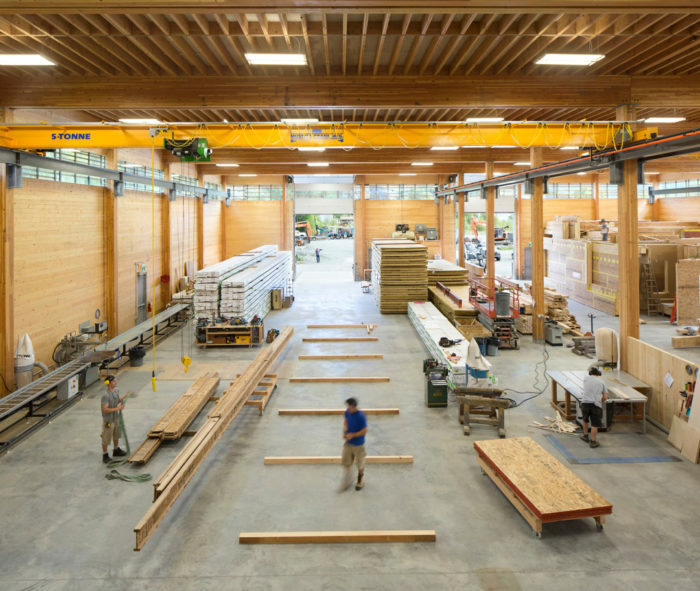 In Pemberton, British Columbia, a company called BC Passive House operates the BC Passive House Factory, a 16,146-square-foot production facility that makes panelized parts for Passive House buildings as well as panels for timber-frame buildings. Vancouver-based Hemsworth Architecture, which designed the building, says it is the first of its kind in North America. 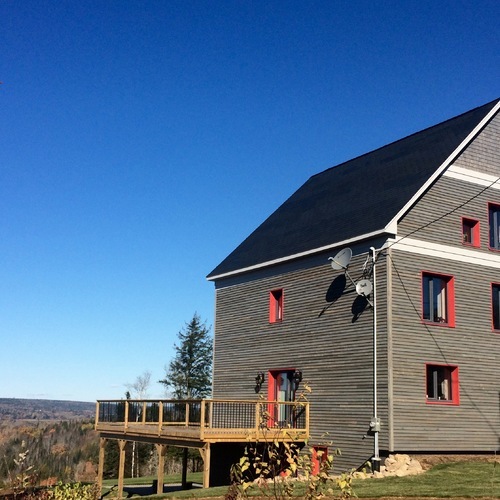 In Searsmont, Maine, Ecocor and Richard Pedranti Architect — working together as RPA-Ecocor — have teamed up to design and produce 11 prefabricated Passive House homes. 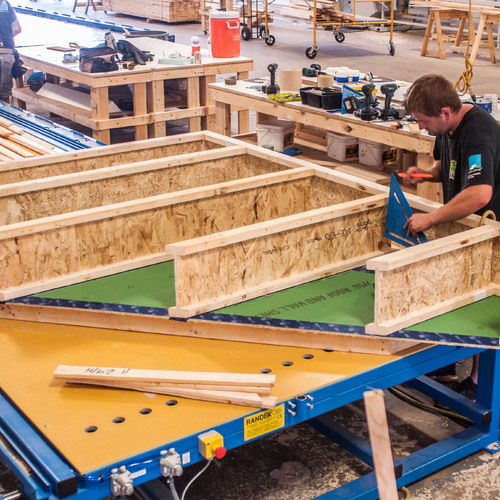 They say their new venture, expanding on Ecocor’s existing business of fabricating and assembling high-performance houses, is the first company in North America “solely dedicated” to manufacturing prefabricated Passive House buildings. The Pemberton facility is used to prefabricate components for Passive House buildings and also for manufacturing non-Passive House heavy timber structures and components. The building looks like a big wooden box, with a band of clerestory windows just below the level of the roof and the outside clad with fir and larch 2x4s. On the south and west sides of the building, the slats are spaced closer together to provide more solar shading while still allowing views of the mountainous landscape. BC Passive House built the plant from the same kind of panels it sells for high-performance buildings, published by Dezeen magazine. Hemsworth Architects said that the offices and showroom were designed to the Passive House standard. Wall assemblies include an outer 2×8 wall insulated with cellulose and an inner 2×4 service wall insulated with rock wool; the total R-value of the wall assembly is 37. The R-53 roof is made from 16-inch I-joists insulated with cellulose plus a 2×4 service wall. The shop floor, which architect John Hemsworth says is frequently open to the elements, is not built to Passive House standards. Its walls are made of 4-inch-thick cross-laminated timber (CLT) panels insulated on the outside with rock wool. The project won a 2016 Governor General’s Medal in Architecture, one of a dozen medals given out every two years go recognize the work of Canadian architects. BC Passive House grew out of DÃ¼rfeld Log Home Construction Ltd., which was the general contractor for the Austrian Olympic Passivhaus for the 2010 Winter Olympics in Whistler, British Columbia. The building housed the Austrian Olympic Committee and Austrian Public Broadcasting. After the games, it was given to the town of Whistler and became known as the Lost Lake Passivhaus. 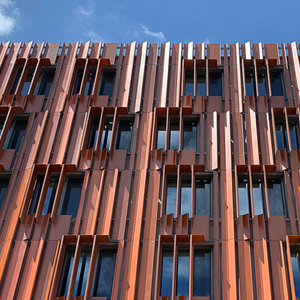 DÃ¼rfeld didn’t fabricate the panels for the Olympic Passivhaus — those came from Europe — but the experience of assembling the building was an eye-opener. After the Olympics, DÃ¼rfeld decided to build the factory and begin selling Passive House components, according to . 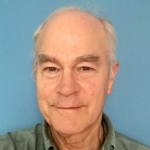 BC Passive House is owned by DÃ¼rfeld Constructors, what followed DÃ¼rfeld’s log home company, and its partner Equilibrium Consulting Inc., a structural engineering firm. DÃ¼rfeld hasn’t done much with log homes for the last half-dozen years, said marketing and public relations manager Lydia Hunter, but is “pretty busy right now” with timber panels and components for high-performance and Passive House buildings. The company has worked on a number of Passive House designs, including the 2013 Fort St. John Passive House in Fort St. John, British Columbia, a demonstration project described in a GBA news article and, later, in a blog by one of its first residents. Unlike Ecocor, BC Passive House makes panelized components to order, but does not offer whole-house packages. Hunter said that’s a possibility in the future. — which manufactures, delivers and assembles high-performance buildings under the direction of its founder, Chris Corson — has a 14,000-square-foot plant in Searsmont, just west of Belfast in Maine’s Midcoast region. In its new venture with , Ecocor offers 11 different model homes, from the Model A, a 323-square-foot, one-bedroom cottage to the three-bedroom, 2,685-square-foot Model M. In addition, Pedranti will be able to modify or customize a model home to suit a buyer’s preferences. 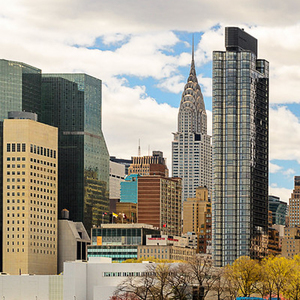 The pair made the announcement at the North American Passive House Network conference in New York City on June 13, 2016. 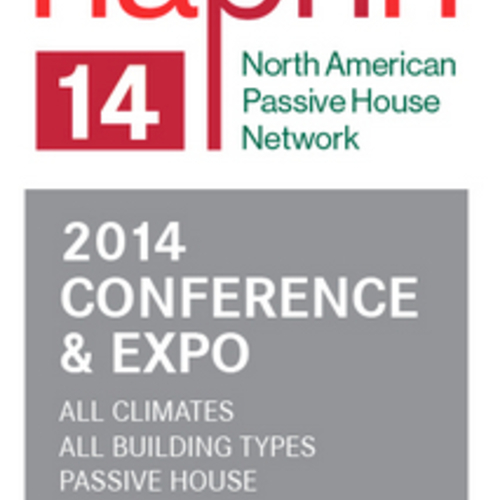 They said that Ecocor is the only North American company to have opaque prefabricated building components certified by the Passivhaus Institut. After a customer orders a Passive House prefab, parts are cut on an automated saw, labeled and then put together on a large assembly table. Panelized wall sections include taped seams, waterproofing and a ventilated rainscreen, plus dense-packed cellulose, triple-pane windows, flashing, cladding, and trim. For a description of the process, see . The wall system, for which a patent is pending, includes a 2×4 inner wall insulated with rock wool batts, Zip sheathing, I-joists insulated with dense-packed cellulose, a water-resistant barrier, a vented rain screen, and exterior cladding. It has an R-value of 52. Roof assemblies consist of raised-heel trusses and blown-in cellulose insulation. All of the model houses are designed and priced for a slab-on-grade foundation insulated with 12 inches of expanded polystyrene (EPS). The houses, however, can be built on any type of foundation with a basement or crawl space. 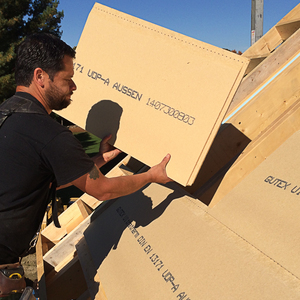 Dedicating all or part of a production line to Passive House components may be new, but using panelized and modular construction for high-performance buildings is well established. Unity Homes of New Hampshire, for example, offers a line of modular high-performance homes, as does of Portland, Maine, with its BrightBuilt Home series. 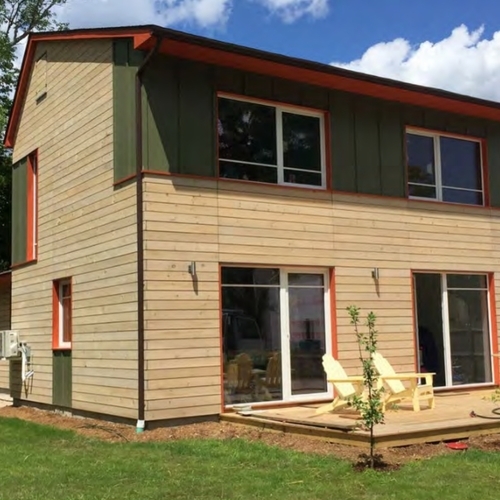 A modular home built in 2013 in New Jersey later won certification from the Passive House Institute U.S. Still, Pedranti thinks the potential of the industry has largely been squandered, in part because of weak building codes and correspondingly low expectations for quality. Pedranti said he’s been to many modular home assembly lines and hasn’t been very impressed with what he’s seen. In addition to building these high-quality wall components in a controlled environment, Pedranti sees at least two other advantages to prefabricated buildings: less building material waste and shorter construction times. Houses can be ordered from RPA-Ecocor in one of two ways: as a shell, with the foundation, roof, interior finishes and ventilation provided by other contractors; or as a turnkey house that’s completely finished and ready for its new owners. House plans also can be modified to suit individual needs. Pricing varies by region. If you live in Maine, for example, the price for a completely finished Model E — a one-bedroom, 1.5-bath house with 1,104 square feet of interior space — would be $333,000, but the price rises the farther you get from the Ecocor plant. Outside of Maine but still In New England, the cost goes to $339,000; in the Mid-Atlantic region it’s $345,000, and in the Great Lakes it’s $357,000. The two-tiered approach to pricing houses allows buyers to get a Passive House building envelope on site and then finish the house themselves or by hiring local contractors. Per-square-foot pricing for turnkey delivery in Maine runs in the $205 to $230 range. Pedranti said he and Corson met about four years ago at a Passive House conference in New York and they continued to run into each other at other conferences. They kept in touch, and about a year go, they began to talk seriously about designing a house that could be prefabricated. That turned into the 11 houses now offered at their websites. The response to their formal announcement has been very positive. “Oh, man, it’s been unbelievable,” he said. “The response has been just fantastic. We worked so hard to get to that point. 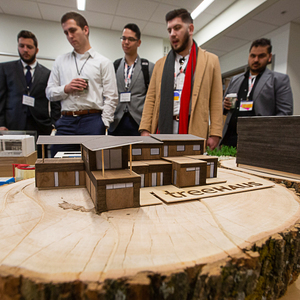 We had a deadline of the New York Passive House conference, and we had a booth, we had a press release, and it’s just been overwhelming — so exciting to see the positive response and the support of the community.